1) Not knowing that rubbing my face red-raw with Dove soap and a rough flannel twice a week was going to do more damage than good. 2) Having my first job as a kitchen porter in a super greasy kitchen, scrubbing grease off walls, peeling grease from the inside of a deep fat fryer, other things to do with grease etc. Grease + face scrubbing = disaster. Now that is the kind of equation I can get my head around, considering it has plagued my face most of my adult life. Add these ingredients to a bubbling pot of frosty weather beating my nose into the colour of Rudolph’s as well as the urge to have twenty baths in a fortnight and boy, do we have a piping-hot recipe for a spot outbreak like no other. ‘BEWARE OF THE WINTER SKIN’ I will have pinned to my forehead. However, rejoice, this winter I think things are going to look and feel very different. I believe to have found the elixirs of eternal skincare this Christmas period. 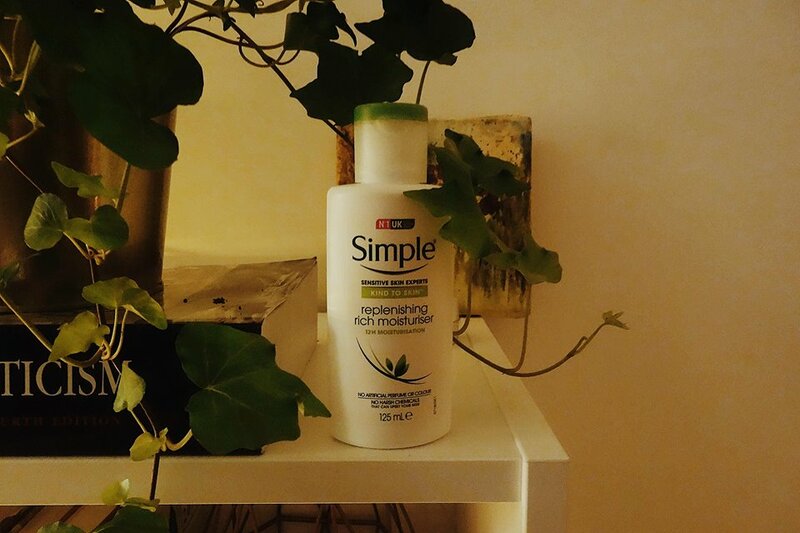 Honestly, who knew that my go-to moisturiser that would hydrate my skin to the greatest lengths would be something from the Simple range? 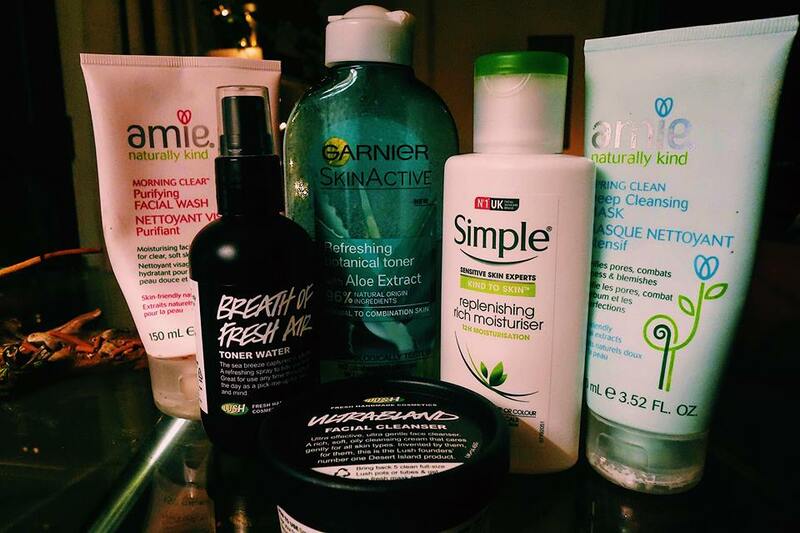 I have tried the classic Kiels, the Garnier Moisture Bomb and the Clinique Dramatically Different to name a few, but nothing comes close to the luxurious feeling of the Simple Replenishing Rich Moisturiser. I definitely picked this little baby up on a whim during a frantic ASDA shop, and Jesus I am glad! It turns out Simple moisturisers are not just for picking up in the last-minute bargain-bin before a jet set around the globe. The formula itself is extremely rich and creamy – meaning it is perfect for lathering on thickly after a steamy bath – yet does not clog up pores. Pair this moisturiser with the Smashbox Photo Finish primer for faultlessly smooth and supple skin and dare to bare – let your dewy skin be the envy of all your pals. Heavy-duty and smelling divine, the Simple rich moisturiser is going straight back in my basket. More the merrier when a toner is concerned this winter, but only in the mornings… Do not question my logic because I actually have no idea what I am doing, I am just rolling with the punches. BAM: skin specialist. BAM: I am a liar. BAM: I am just going to carry on. My two go-to toners which I have stocked up in bucket loads are the Breath Of Fresh Air Toner Water from Lush and the Aloe Vera toner from the Garnier Refreshing Botanical toner range. 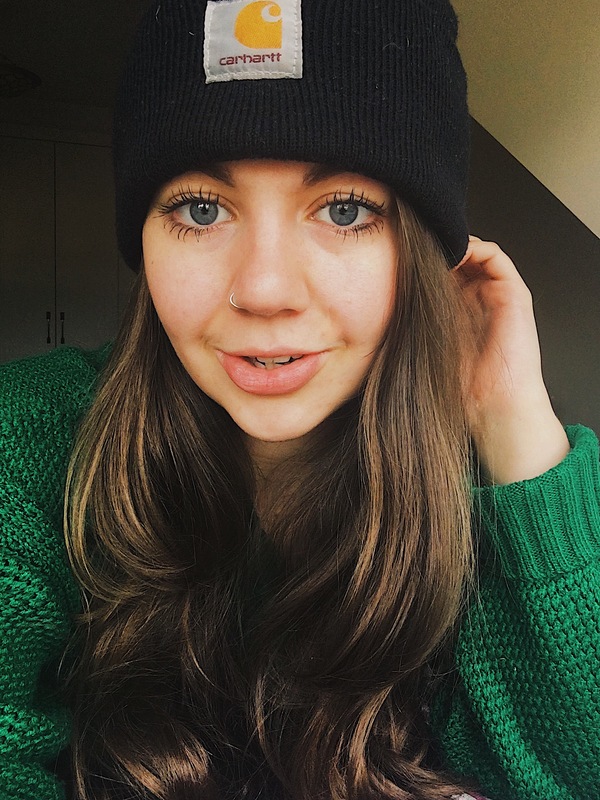 The former is extremely new to my routine – just over a couple of months old now – while the Garnier has been a staple for 6 months +. I’m still using both on/off, however; I am finding that the toner being a spray rather than a smother-on-a-cotton-pad is both much more refreshing and more complimentary to my skin. The skin around my nose can breathe a sigh of relief, as the blackheads are being banished one dinky salty glaze at a time. The Lush toner contains fresh sea water alongside spring water and Fair Trade Aloe Vera gel (making it both zingy and calming once sprayed) while the Garnier consists purified water as well as aloe leaf and corn molasses among more. Both equally treat my face as good as gold, however, I am slowly but surely turning my full attention and moon face to the Lush toner. Although the turquoise packaging shines in comparison to the contrasting, ordinary Lush bottle, I still cannot help the smile on my face as I spritz myself. Spritzzzzzz. 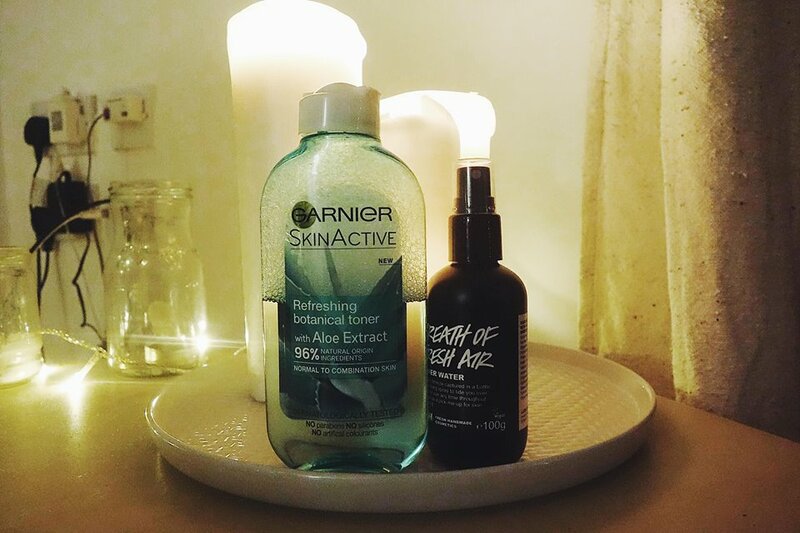 Both of these toners smell gorgeous, however, the Lush toner has strong hints of Lavender and sweet salt while the Garnier has a pure aloe aroma. 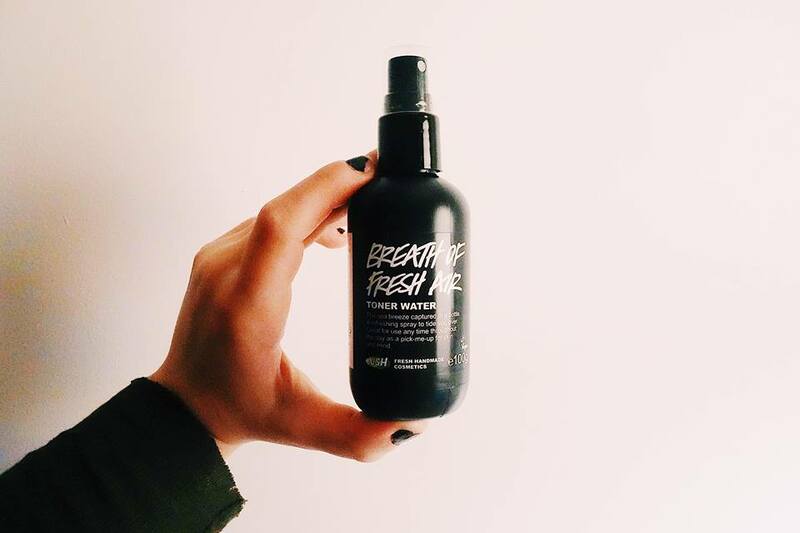 Toner is used in reducing pore size as well as cleanse the skin, so having a pretty damn fine scent attached is definitely a plus. Tip: put your toner in the fridge for stirring morning rejuvenation. All of the boys and all of the girls are begging to get their mitts on Amie (la, la, la). 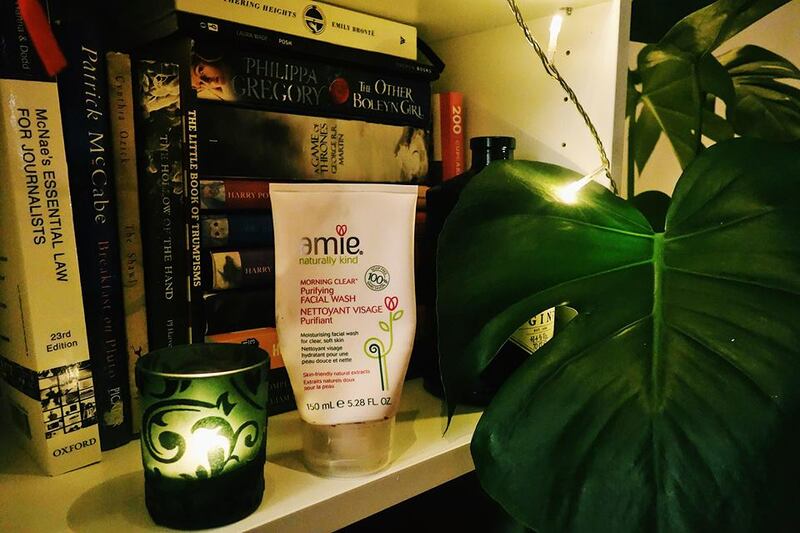 I am a big advocate and adorer of anything Amie Skincare put out, I wrote a bumper blog post about what you should be splashing on your face here. In my winter skincare routine, I am taking forward two of the Amie skincare pieces, including the Morning Clear Purifying Facial Wash.
More peaceful on skin than exfoliating products but doing the exact same job in a largely calming matter, the purifying facial wash is 100% soap free and simply needs a splash of water and a pea-sized amount of product to do its magic. The pink wonder also works miracles on makeup removing, however, avoid taking off mascara/eyeliner unless a panda is your kinda’ jam. As well as my cleansing ride-or-die, my skin has fallen head-over-heels in adoration for the Lush Ultrabland Facial Cleanser. The aroma of the Ultrabland reminds me of my kitchen after I have the gals around for one too many beers, or the honey in my porridge from three days ago still being stuck to the side. Now it sounds weird but honestly, this product is becoming my ultra favourite thing to put on my skin. Essentially a moisturising bomb, the thick cleanser scoops out dirt from places I did not even know dirt could stick and wipes makeup off with the flick of a wrist. YOU NEED THIS POT OF GOLD IN YOUR LIFE OKAY, JUST BELIEVE ME. Bad day? Stick a face mask on. Didn’t make it to the gym? Stick a face mask on. Ate a pizza, ice cream, milkshake and considering whether you’re still ‘treating yourself’ by having a packet of vegan chicken nuggets? Stick a face mask on, make yourself feel better… And then eat the nuggets. 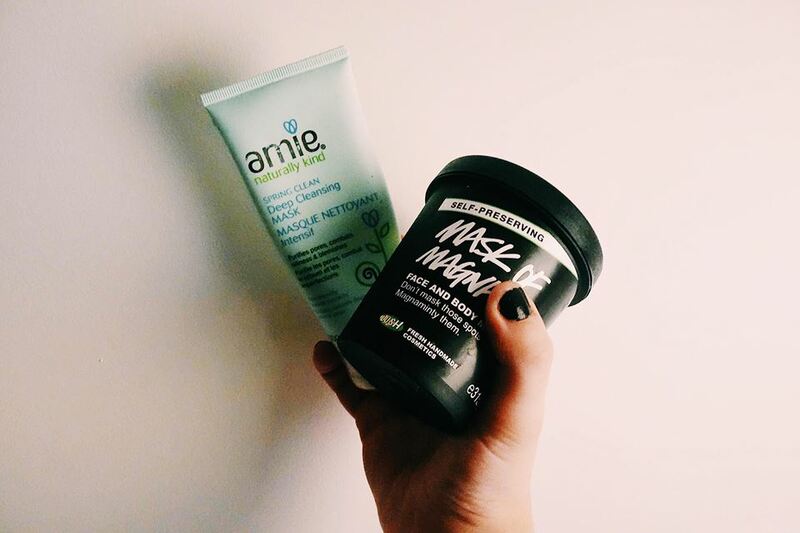 I’m not gonna’ bore you about the details of the Amie Deep Cleansing Mask cos’ you can read all of those details here. But let us have a chat about Magnanimity. Sit down young one, I’m about to tell you a story. This thing, alongside the Ultrabland, is perhaps the best thing I have ever bought myself, apart from Morrissey the Monstera of course. 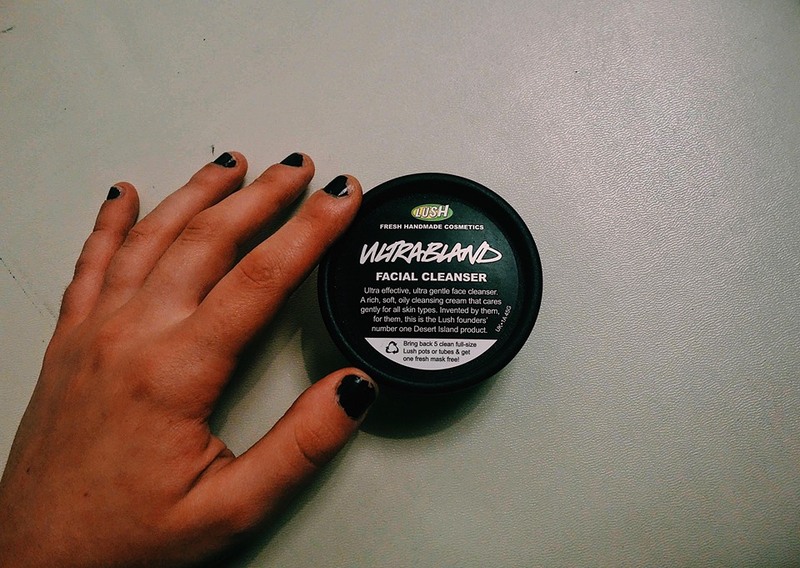 An intense peppermint smell which matches its lush green colour, The Mask of Magnanimity by Lush is an acne-prone face, shoulder and back’s best friend. Scoop your fingers in, lather it on, leave it for twenty minutes, do an interpretative dance routine and heeeeeeeey presto – spots are banished from yo’ face. Unlike most Lush facemasks, this one is not fresh which means you don’t need to pop it in the fridge or use it for a certain period of time. Plop and go whenever it tickles your pickle, it takes time to look this fancy. So there you have it! My winter skincare essentials. 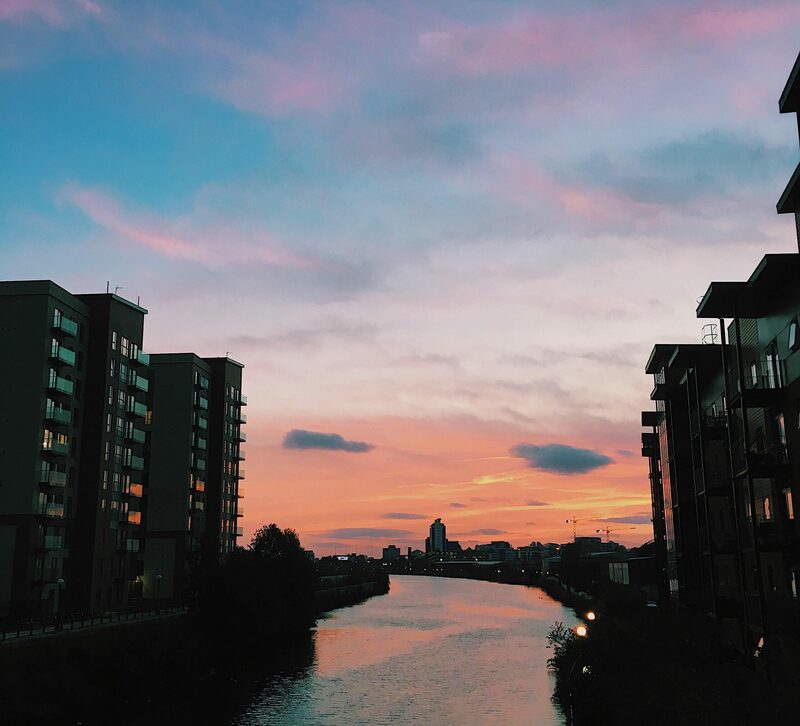 There’s nothing shmancy in this guide, nor anything which you can’t swap that Wednesday evening red wine in Northern Quarter for – which means you can look banging on a budget. Don’t say I never gave you anything! I didn’t know lush do toners!